For some who may not know my husband this is him. 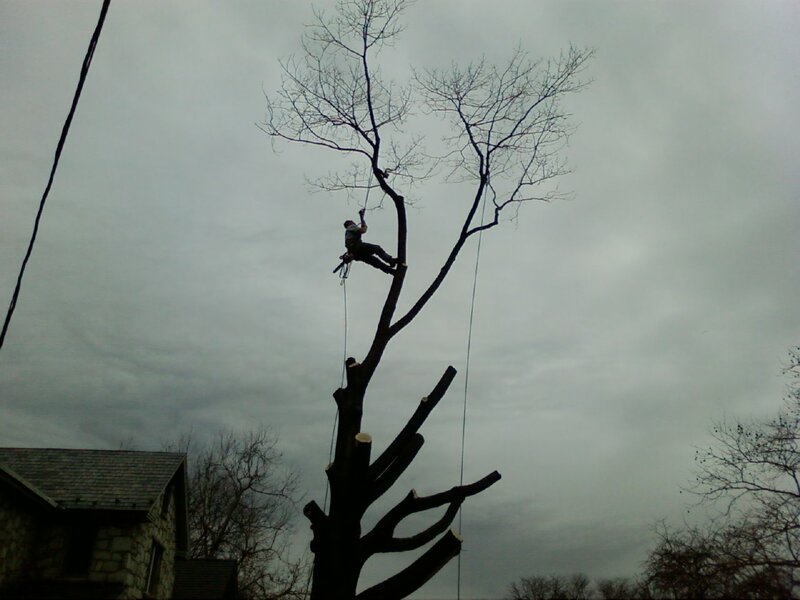 He has been in the arborist business for almost 6 years now. 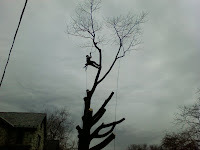 Three years ago he started his own business doing tree work, it is called Napoleon Tree Works ( very original). 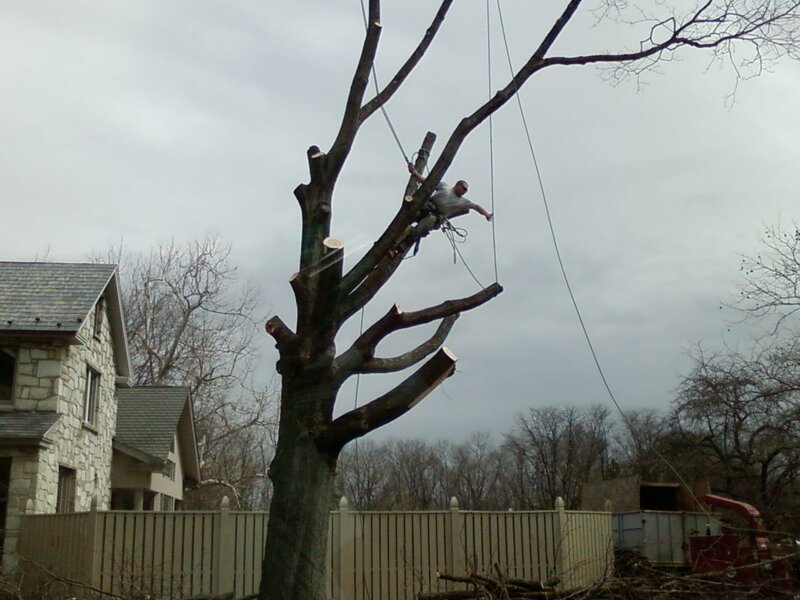 He still works full time with Davey Tree as well. 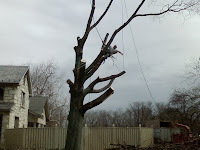 These past two months he has been away in New Jersey working. He comes home on weekends and leaves again monday morning at 5am. I am glad to say that this is the last week he will be there. For those of you who know what it is like to be without your husband it is very hard. Especially if you have kids and hardly any family around. You get very little adult contact ( except for that annoying neighbor of yours). I am so glad he will be here, at least to sleep. Joel is a great dad, he loves to take his kids fishing, four- wheeling, camping and pretty much anything that has to do with outdoors and fun. We are proud of who he has become. That sounds fun for a job. I love the pictures you post. And I completely hate it when Dave leaves. Luckily, he hasn't left since the babies were born, but he is up for a spring of never being home. Lets see. Gone a month, hone 2 weeks, gone 3 weeks, home 2 weeks, gone 2 weeks. I don't think I will be very sane during that time... baby talk starts to get to your head.